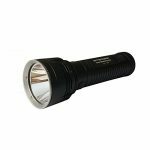 Of all the essential items that a trekker or hiker has to pack for a trip to the woods or mountains, a flashlight is surely one of them. Despite the rising popularity of headlamps with a specific section of adventurers, flashlights continue to be indispensable for those willing to explore the natural world safely. 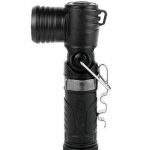 Though day hikers can manage with a standard flashlight but those preparing for an extended expedition will need a powerful torch that is not only convenient to use but portable as well. The NiteCore EA8 Cavemen is an immensely versatile searchlight that hikers, mountaineers, hunters, and emergency patrol teams will find immensely useful. Constructed from a single piece of aircraft-grade aluminum, this torch is incredibly hardwearing and its powerful LED light with a 900 lumens output can reflects beams up to 490m. Anker Bolder LC90 LED Flashlight is eminently portable, extremely durable, and can reflect light up to a distance of 200m. The flashlight comes with a 18650 3350mAh rechargeable battery that can be charged via the inbuilt micro USB port a single charge keeps it lighted for 6 hours at a stretch. Hikers, mountaineers, hunters, campers, and rescue patrols will find the Fenix MC11 Flashlight extraordinarily handy. The torch can be clipped to a backpack or hat, held using a lanyard, and can be made to stand on its tail. Trekkers and Mountaineers can rest assured that they’ll be able to see ahead even when it’s pitch dark if they carry the ThruNite TN4A LED flashlight. This torch features a robust CREE-XP-L V6 LED of 1150lumens that can last for over 2 decades. Flashlights are a must for hikers who embark on trips to locations that are situated far away from trailheads. 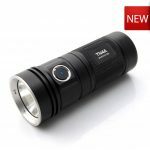 The 4 flashlights analyzed in this review-NiteCore, Anker Bolder, Fenix MC11, and ThruNite TN4A fulfilled all the criterions of a quality flashlight. 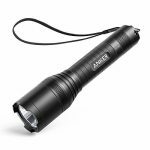 However, the Fenix MC11 and NiteCore were found to be exorbitantly priced compared to what they were offering while Anker Bolder priced below $35 was found to be extremely resourceful.